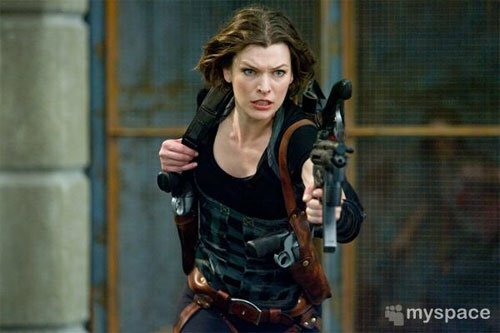 Milla Jovovich and Ali Larter are back fighting zombies this September in Resident Evil: Afterlife. Yep, that franchise is still going. Who’d have thought Superman’s run would end with just one movie while Resident Evil, of all things, gets four. 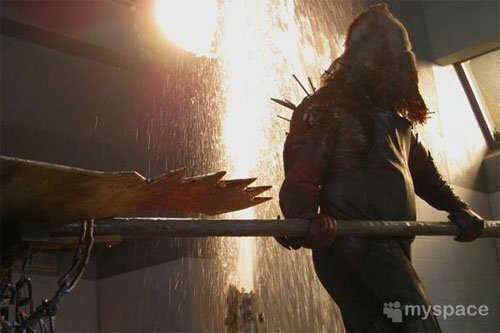 MySpace has posted a first look at Resident Evil: Afterlife in the form of the first ever, official photos released by Sony. The trailer debuts on Saturday, but until then, watch Jovovich and Larter pose with guns in the rain. Then look at a pair of sunglasses… for some reason. Are those significant? The only clothing item I want to see is Alice’s red dress. UPDATE! Apparently the images all match up with identical scenes taken from the Resident Evil video game the movie's based on. That includes and explains the weird floating sunglasses shot. Click over to MySpace to see the above Resident Evil: Afterlife's images in high-res.